The Pomodoro Technique is one of the most popular time management methods, not least because it’s so easy to implement. You can start immediately, all you need is a timer and a bit of discipline. In this third part of our Time Management Month series, we’re going to introduce the Pomodoro Technique. What sounds like a delicious pasta dish, is actually a method that helps you work more focused and helps facilitate creativity and productivity. 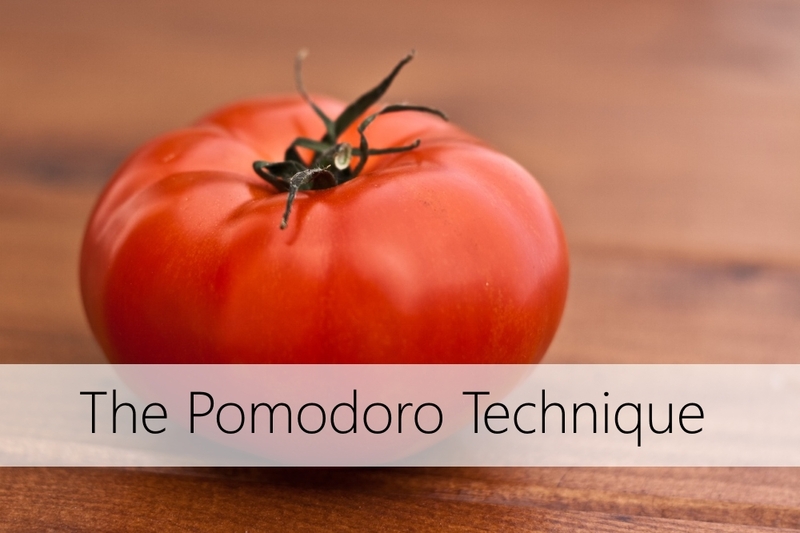 Pomodoro is the Italian word for tomato. So what does time management have to do with tomatoes? Actually, not much. It is called ‘Pomodoro’ simply because Francesco Cirillo, who developed this technique in the 1980s, used a tomato-shaped kitchen timer. What might be surprising is that the underlying focus of the Pomodoro technique is actually on break times. This might sound counterintuitive, but breaks are essential if you want to increase your productivity and focus. [Tweet this] Thus, you should not just include work tasks, but also breaks in your schedule. After a 25 minute work session, also called ‘Pomodoro’, make sure to take a 5 minute break. And take a longer break of 20 to 30 minutes after you’ve finished 4 ‘Pomodoros’. Make a list of all the task you have to do today and identify how many Pomodoros (25 mins) each task will take. Don't forget to factor in break times. Set at timer to 25 minutes. It doesn't have to be a tomato-shaped kitchen timer, you can also use a time tracker app. Work on one task only so that you can really get into the 'flow', i.e. the state of complete concentration. When your timer goes off after 25 minutes, take a 5 minute break. Do this even if you're in the middle of the task. Breaks are an essential part of the Pomodoro technique. It's not just about getting things done, but also about maintaining your energy levels. After you've completed a cycle of 4 Pomodoros, take a longer break of around 20-30 minutes. Again, take this opportunity to get away from your desk. Remember that these are just guidelines and they’re not set in stone. Each person has their own rhythm, if you already feel tired after 90 minutes, take a break. Or if you have a lot of energy and can keep on working, do 5 instead of 4 Pomodoros before you take a longer break. Make sure you find a rhythm that works for you. Time Management: The Pomodoro Technique - InLoox • Copyright 1999-2019 © InLoox, Inc. All rights reserved.